Ready to restore the beauty your hardwood floors once had? We’re here to help you do that! 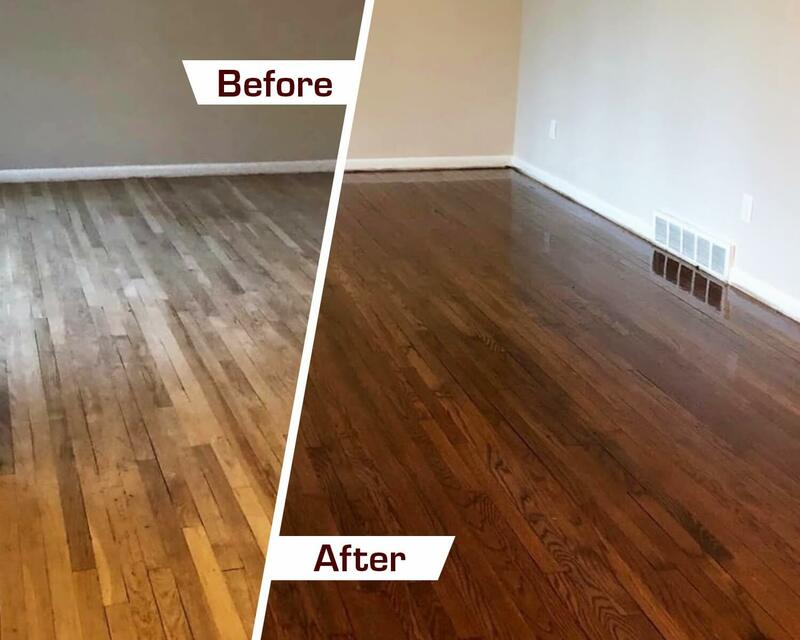 Fabulous Floors Cleveland has been a leader in the hardwood flooring industry for many years and is ready to start on your next hardwood refinishing project in Concord, OH. Our highly trained technicians have the knowledge and skill necessary to deliver results that you’ll love. Wood floor refinishing projects typically last only 1-2 days and are affordable as well. Our customer service representatives are standing by and ready to give you more details about our refinishing process, or to schedule your next appointment. Fall in love with your hardwood floors again with Fabulous Floors Cleveland! 1. We start by completely sanding down the surface of your hardwood floors. We use our innovative sanding machine which creates virtually no dust in your home. Also, it is during this step of our refinishing process where we are able to get rid of any existing scratches or stains on your hardwood. We will even sand by hand any hard to reach areas if needed. 2. Next, our technicians will thoroughly apply the stain color of your choosing to your hardwood floors. If you’re trying to match your current decor or want a new look, we’re sure to have the perfect stain for you. Take a look at our list of stain colors to see what options are available. 3. The last step we perform is to apply a thin coat of our polyurethane finish to your floors. Polyurethane has many benefits, which include providing a shiny, crisp look to your floors and also protecting them against future wear, scratches, and other potential damage. We’ve made it our priority to offer premier hardwood floor refinishing services while keeping you and the environment safe. Fabulous Floors Cleveland is GREENGUARD certified. This means all of our products and equipment are environmentally friendly and safe for your home too. Our technicians take responsibility for the precautionary measures that are included in our system to help minimize the dust created by our process. Your beautiful hardwood floors start here!